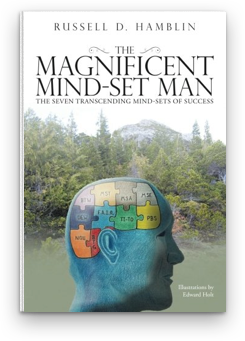 The Magnificent Mind-Set Man is about gaining the physical, spiritual, intellectual, and emotional commitment and insatiable desire to adjust your thoughts, habits, and total attention to achieve ultimate success as you define it. The concepts taught herein will give you the sense and realization of a divine empowerment that is within you, which will help you find the self‑determination to become the person you want to be. You can, in fact, become a Magnificent Mind-Set Man or Woman in your own right. Just never give up, applying the Seven Transcending Mind-Sets of Success along the way of your own magnificent journey into your own Bokan Mountain.